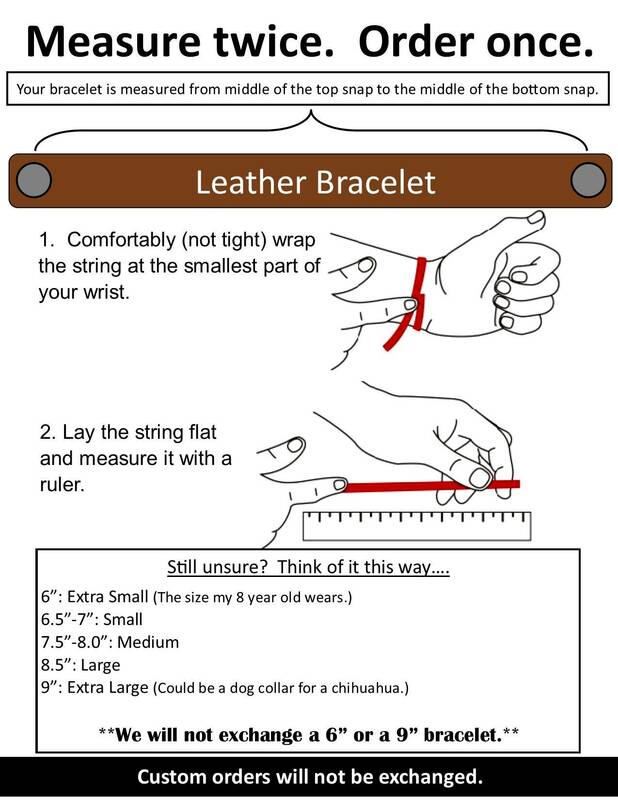 Made from 7 ounce, single bend leather. Hand dyed, oiled, and finished in house. American made. 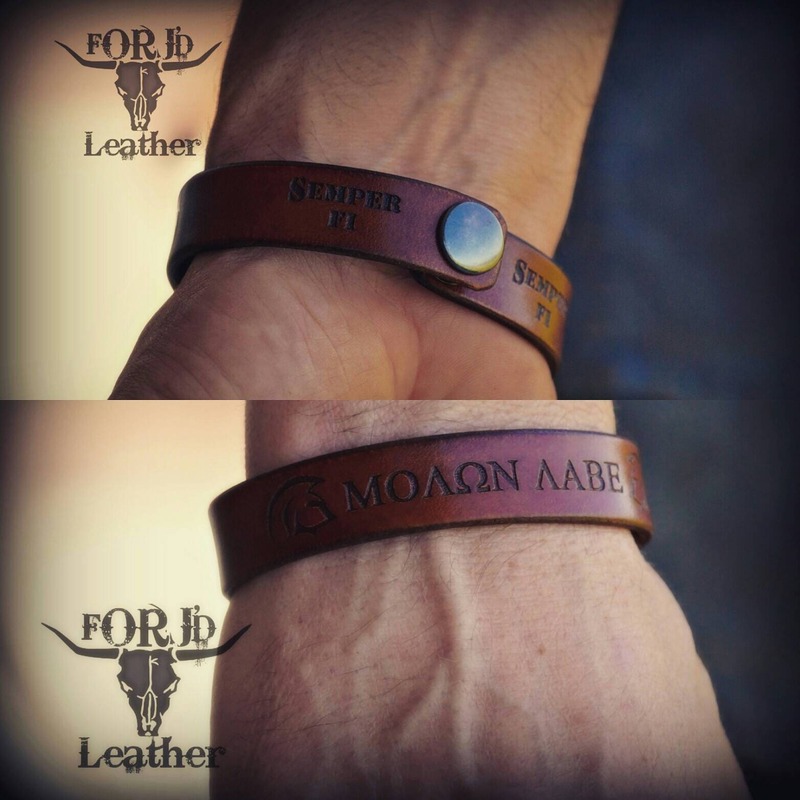 Comes engraved with the Molon labe and spartan helmets engraved. Additional back engraving can be done at no additional cost per request.